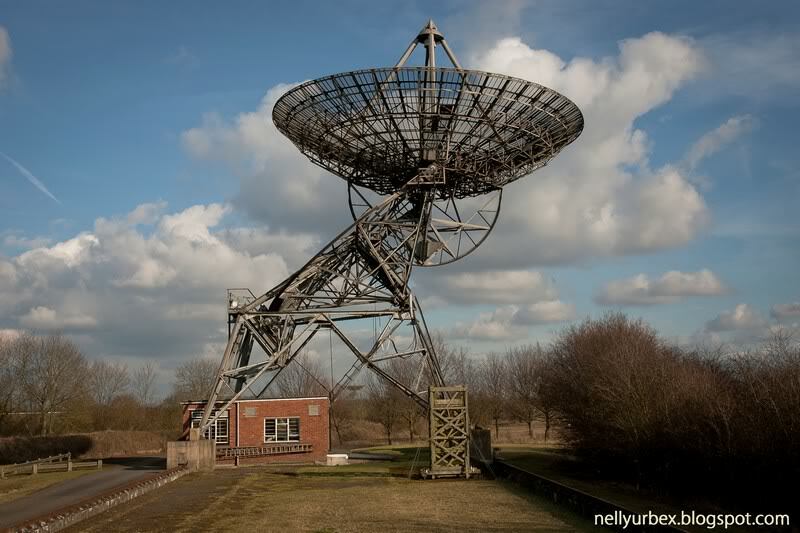 This is a vast semi live site, the research shows that it has around 12 radio telescopes (7 decommisioned and 5 in use) this is only one of them. 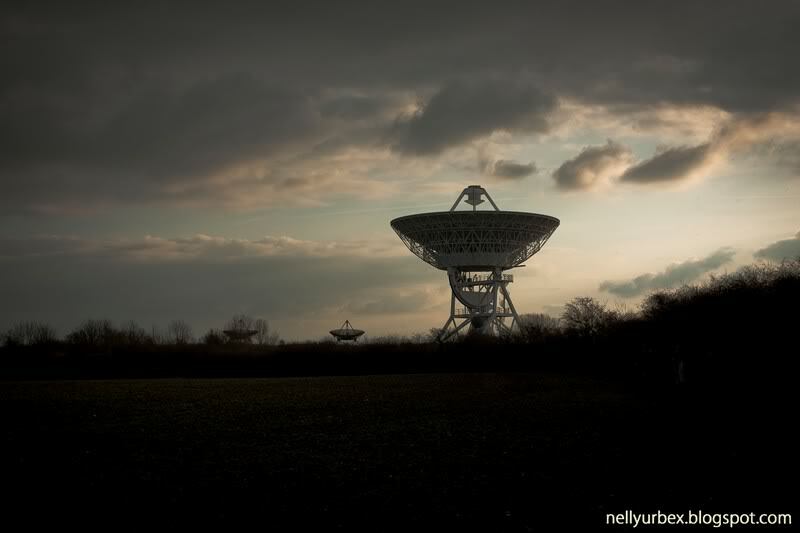 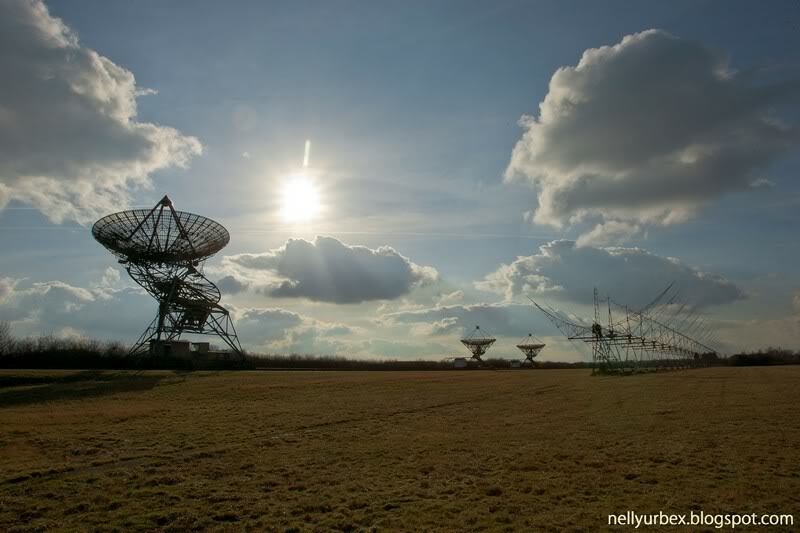 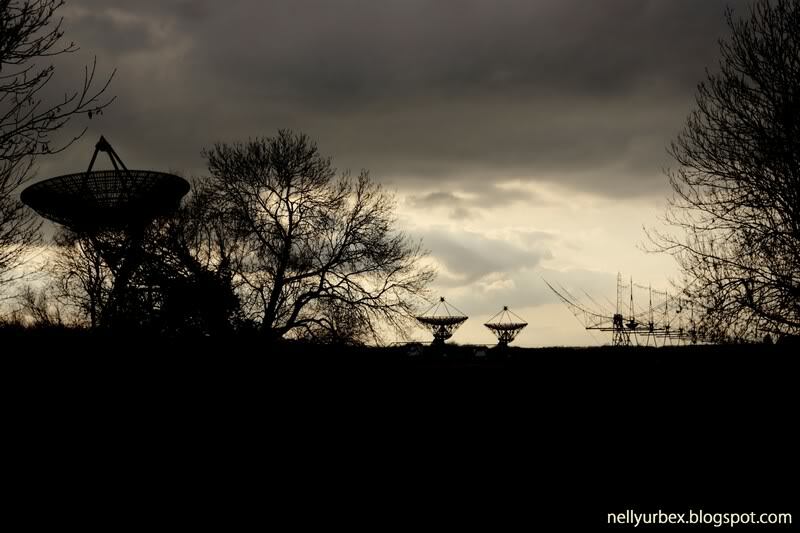 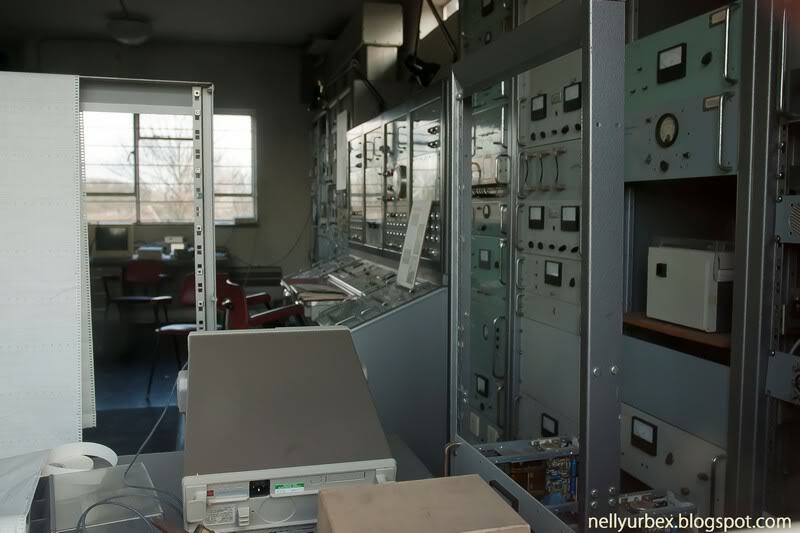 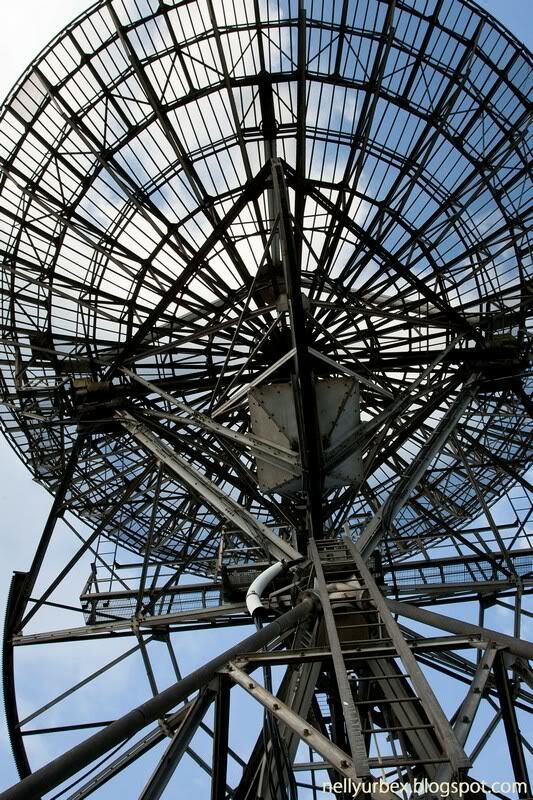 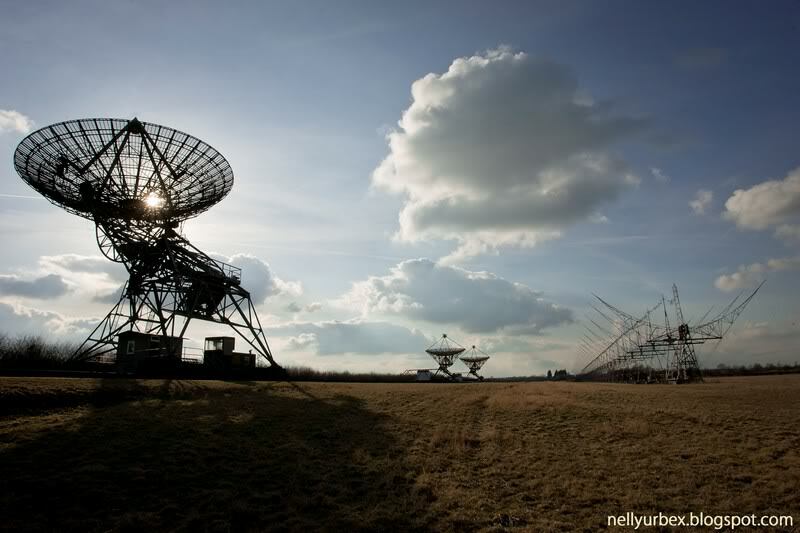 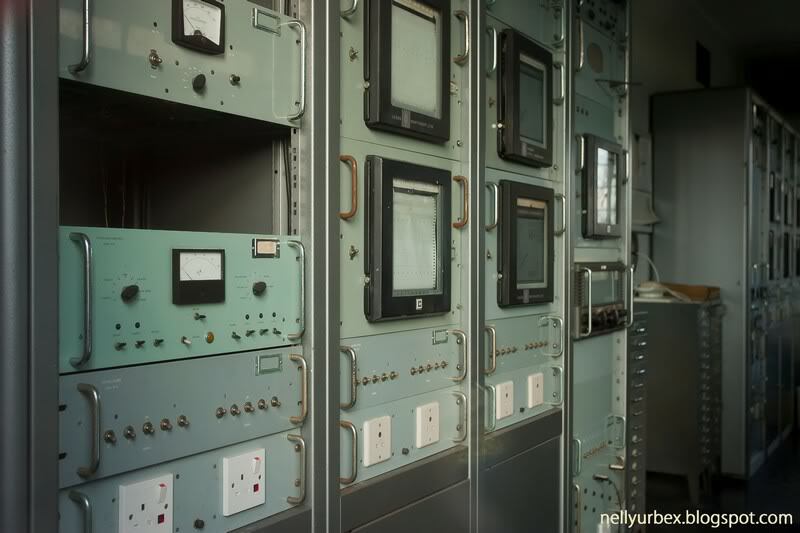 The Mullard Radio Astronomy Observatory (MRAO) is home to a number of large radio telescopes. 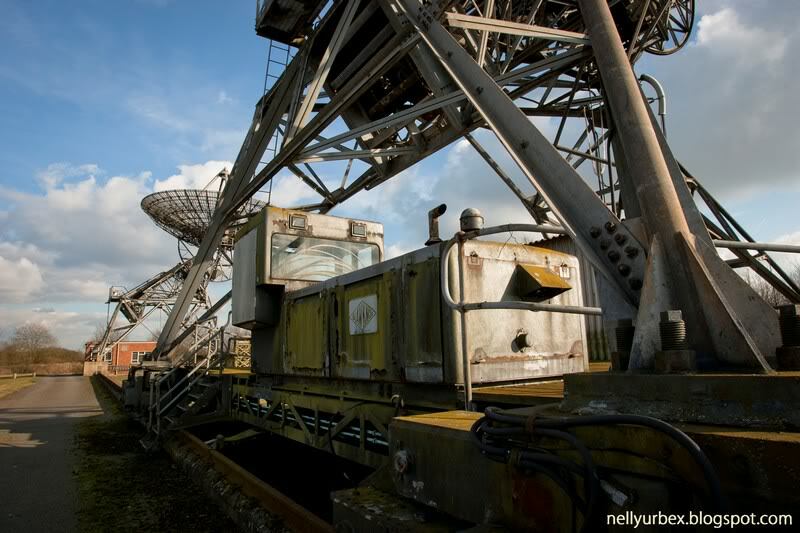 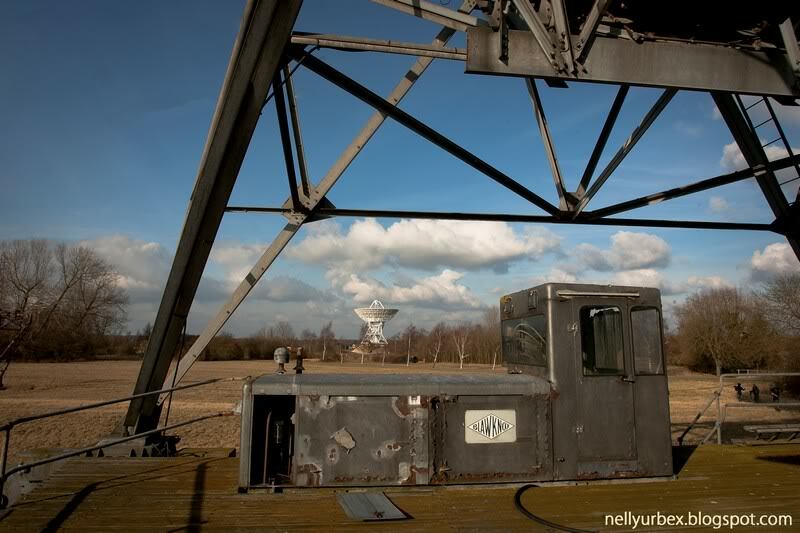 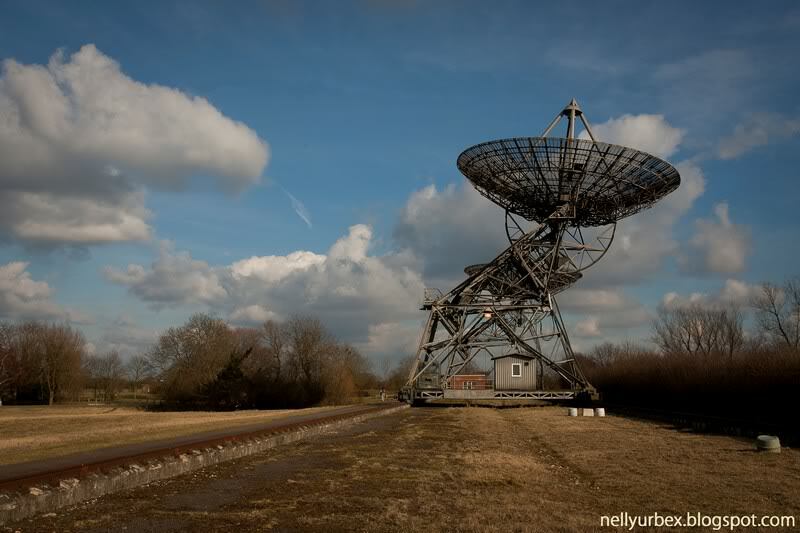 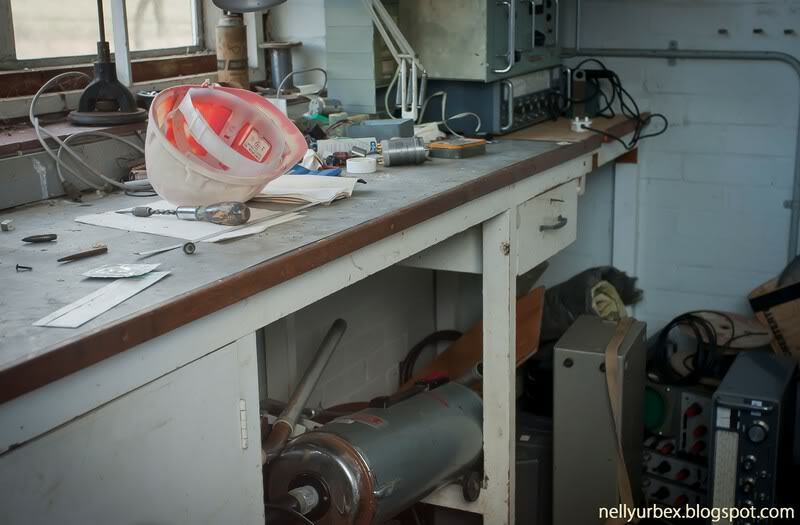 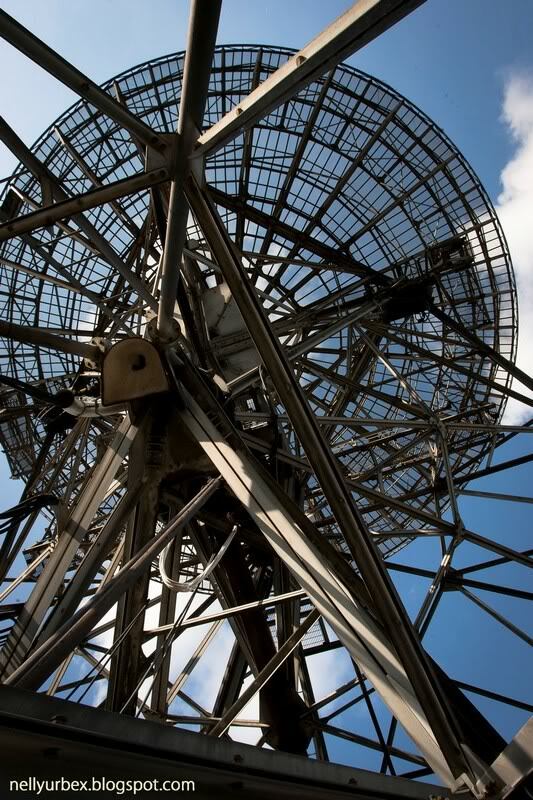 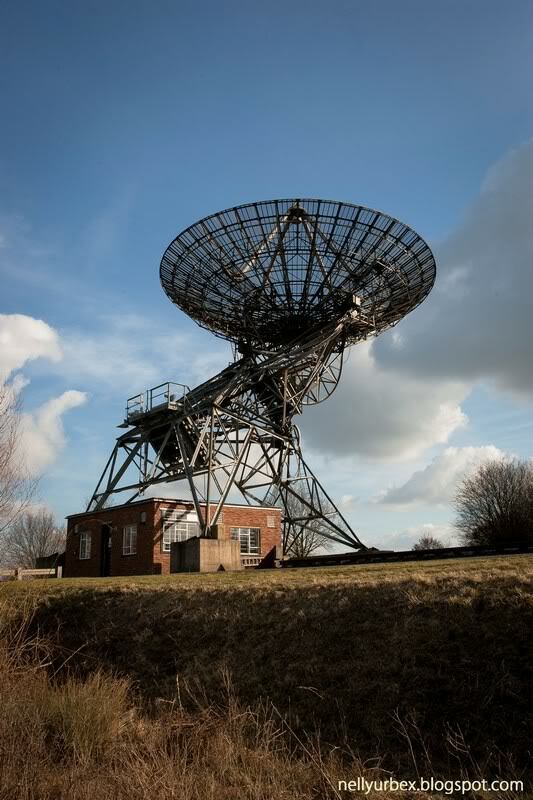 Radio interferometry started in the mid-1940s on the outskirts of Cambridge, but with funding from the Science Research Council and a donation of Â£100,000 from Mullard Limited, construction of the Mullard Radio Astronomy Observatory commenced. 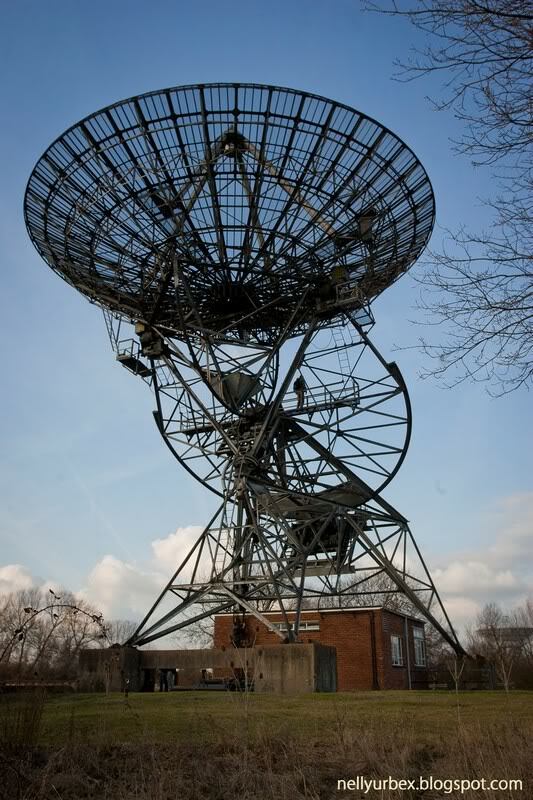 The One-Mile Telescope at the Mullard Radio Astronomy Observatory (MRAO) is an array of radio telescopes, fully steerable 60-ft-diameter parabolic reflectors operating simultaneously at 1407 MHz and 408 MHz) designed to perform aperture synthesis interferometry, completed by the Radio Astronomy Group of Cambridge University in 1964 "To extend the range of our observations far back in time to the earliest days of the Universe"